Introduction to Wheel Throwing with Rachael McKenzie Saturday, February 16 & 23 | 9am-3pm Learn step-by-step how to make your own creations on the pottery wheel. With her guidance and your open studio pass, you will have studio time between classes to practice and hone your new skills. If you have some wheel experience already, this is a great class to grow your skills. Spaces are limited. 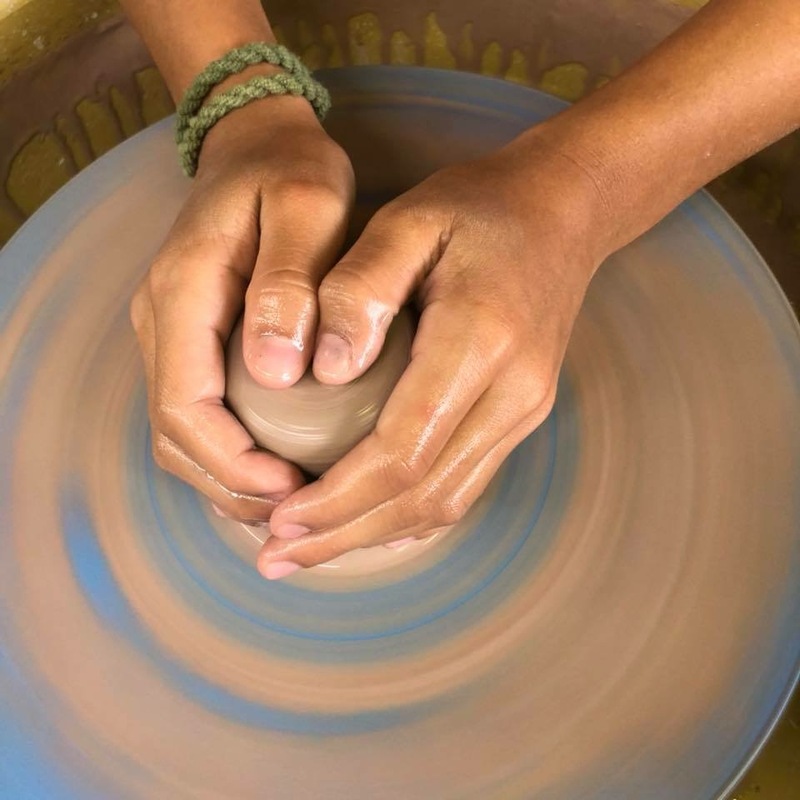 Introduction to Wheel Throwing with Rachael McKenzie Saturday, June 8 & 22 | 9am-3pm Learn step-by-step how to make your own creations on the pottery wheel. With her guidance and your open studio pass, you will have studio time between classes to practice and hone your new skills. If you have some wheel experience already, this is a great class to grow your skills. Spaces are limited. Introduction to Wheel Throwing with Rachael McKenzie Saturday, April 6 & 13 | 9am-3pm Learn step-by-step how to make your own creations on the pottery wheel. With her guidance and your open studio pass, you will have studio time between classes to practice and hone your new skills. If you have some wheel experience already, this is a great class to grow your skills. Spaces are limited. The materials fee covers the cost of clay, glazing and firing for pieces done in the class. Additional clay and studio time may be purchased for personal use. - Learn step-by-step how to make your own creations on the pottery wheel. With her guidance and your open studio pass, you will have studio time between classes to practice and hone your new skills. If you have some wheel experience already, this is a great class to grow your skills. Spaces are limited. Learn step-by-step how to make your own creations on the pottery wheel. With her guidance and your open studio pass, you will have studio time between classes to practice and hone your new skills. If you have some wheel experience already, this is a great class to grow your skills. Spaces are limited. The dates above reflect 3 different weekends to take the class. Class will take place at the CCSA Pottery Studio. Students should have short fingernails, tie back any long hair, wear old clothes and closed toe shoes. Class includes open studio time in between classes for out-of-class practice.